Gate decisions or Bid decisions are critical in making effective decisions on whether to compete for business and can help organizations increase their win probability. Gate decisions help us to have a stronger focus on opportunities with a higher win probability. Organizations view gate decisions as critical to successful business development (BD) and revenue generation. Decisions to continue pursuits or to abandon opportunities are made at the gate-decision reviews. Opportunities are qualified by analyzing the customer’s needs, our capabilities for solving the customer’s problems, and how we match up against expected competition. Gate decisions have a regular schedule on the organizational calendar that people understand and adhere to. 1.1.1. Make a series of gate decisions. Gate decisions must be organized to achieve organizational objectives related to winning business and managing the cost of winning business. Use the opportunity qualification decision to confirm whether the opportunity merits expending resources for research and assessment. This table illustrates the questions that are appropriate as part of the opportunity qualification decision. Opportunity Overview Is the opportunity funded, or is there a funding source? Does the potential project have an owner within the customer organization? Do we know the owner? What is the customer’s perception of us? Business Case Is the opportunity in a high-probability quadrant (current service/current client)? Do we have adequate BD and technical resources to develop the opportunity? Do we want to win? Are there acceptable profit margins or other strategic reasons for wanting to win? Does the opportunity conflict with other work being performed or anticipated? Opportunity Fit with Your Plans Does this opportunity support our strategic plan? Business plan? Account plan? Positioning Overview Does the customer know us? Do they know that we are considering this opportunity? Are we the incumbent? If not, have we been actively calling on the customer? Background, Mission, and Roles Do we understand the customer’s mission? Competing Teams and Approaches Do we know who the potential competitors are likely to be? Can we team with a competitor if necessary? Use the pursuit decision to determine whether to commit resources to developing opportunity plans and influencing the customer to prefer your solution. This table illustrates the questions that are appropriate as part of the pursuit decision. Strategy and Solution Overview Have we developed a credible win strategy that can be clearly articulated? Do we have a conceptual solution with clear discriminators? Decision-makers, Issues/Hot Buttons Do we know the key decision-makers and their issues and hot buttons? Do the key decision-makers know us? Contractor Role and Responsibilities Do we have a clear understanding of our anticipated role? Are there any potential conflicts of interest? Opportunity Fit with Your Plans Is this opportunity still aligned with the strategic plan? Business plan? Account plan? Your Competitive Position How well do the opportunity requirements match our competencies? Your Solution Overview Has a solution been developed? Are there any significant gaps? Risk Assessment Are there significant bid risks? Is the performance risk level acceptable? Leveraging Strengths Have actions been identified to improve our probability of a win? Is progress being made in executing these actions? Mitigating Weaknesses Are there plans in place to mitigate weaknesses? Price-To-Win Analysis Do we have sufficient knowledge of the customer and the competition to develop a realistic price to win? Use the bid/no-bid decision to determine if you have positioned yourself favorably enough to justify planning to develop a proposal. This table illustrates the questions that are appropriate as part of the bid/no-bid decision. Deliverables and Schedule In the absence of a DRFP or SOW, do we have a clear understanding of the deliverables and schedule? If so, how? Evaluation Process Are we sure of the evaluation process to be used? If so, how do we know? Competitor Overviews Do we have an accurate picture of the prospect’s perception of competitors? Bidder Comparison Has an objective bidder comparison been completed? Teaming and Subcontracting Do we have firm commitments from needed teammates? Past Performance Baseline Do we have strong, relevant past performance? Management Solution How does our management approach provide added value? Technical Solution How does the technical solution provide added value and discriminators? Gap Analysis Can all remaining gaps be filled? How? Discriminators, Themes Are discriminators unique and interesting to the prospect? Can the prospect justify our selection based on our discriminators and cost? Price-To-Win Analysis Has the price to win been determined? Is it acceptable to senior management? Opportunity/Proposal Schedule and Status Is the customer adhering to the expected schedule? If not, why? Have we confirmed customer budget? Use the bid validation decision to determine whether the opportunity is still worth pursuing and the proposal worth preparing, considering the final details in the RFP. 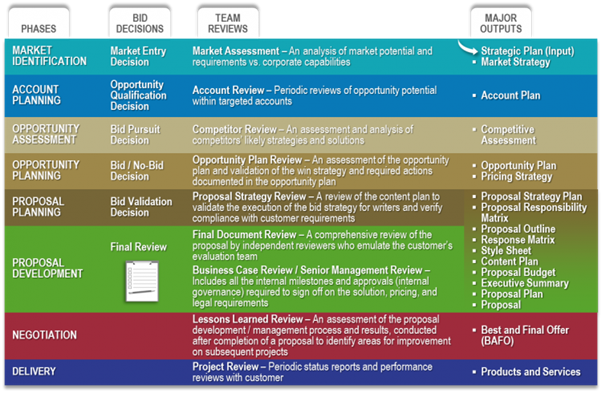 This table illustrates the questions that are appropriate as part of the bid-validation decision. Terms and Funding Commitments Are the published RFP terms as anticipated and are they still acceptable? Does the RFP show evidence of being influenced by competitors? Based on the published evaluation criteria, can the customer justify selecting your company? Technical Requirements/Verification Are the technical requirements in the RFP as anticipated? Has our technical approach been reviewed and verified as being acceptable to the prospect? Are team (teammate) roles clearly defined and formally agreed on? Business Solution Does our business solution provide significant value and return on investment to the customer? Has a draft executive summary been prepared? Is it persuasive? Cost Estimate Has a bottom-up cost estimate been completed? Can the solution be profitably delivered within the price-to-win? Issues and Recommendations Have all internal issues related to the opportunity been addressed and resolved? Is the resource estimate still valid with acceptable impact? Use final review to determine whether to submit the proposal prepared, considering the anticipated financial reward and level of risk. This table illustrates the questions that are appropriate as part of the final review decision. 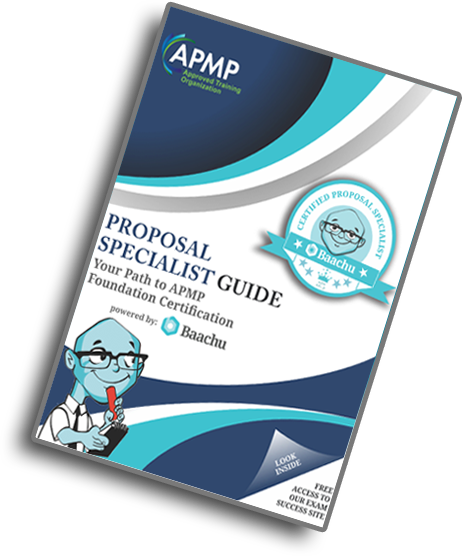 Proposal Is the proposal compliant, responsive, competitive, and priced to win? Does the proposal meet corporate quality standards? Risk Assessment Are there any unresolved elements of risk that should preclude submitting the proposal? Will the proposal be evaluated as being low risk to the customer? Negotiation Plan: The Customer Is the contract likely to be awarded without negotiation? If so, are we prepared to accept this? If negotiations occur, do we know who in the customer organization will be leading them? Is the customer under any constraints (e.g., time) that we can leverage? Negotiation Plan: Our Team Has our negotiating team been identified? Is our negotiating position clearly defined and agreed to by senior management? Closure Plan Is the Program Manager/Implementation Lead ready to begin delivery immediately upon award? 1.1.2. Standardize company templates and schedules. Standardized templates and schedules promote effective decisionmaking. Meeting dates are known, expectations are set, and information to be presented for the decision is defined and understood. Templates for these reviews are generally created in presentation or word processing software which works equally well in face-to-face or virtual settings. Presentation-format reviews facilitate rapid and consensus-based decisionmaking. In large organizations, gate decisions are generally scheduled for a consistent day, time, and location. A designated scheduler will often create the agenda of reviews for the day. In small organizations, gate decisions may be made individually based on an opportunity-driven schedule. An opportunity plan template is used both for developing the opportunity plan and making gate decisions. 1.1.3. Set expectations for information maturation across the gate-decision cycle. Effective gate-decision processes acknowledge that with the right actions taken by the opportunity team, information quality on an opportunity increases over time. Organizations must set reasonable expectations for information quality and maturity at various gate decisions. These expectations must be understood by presenters and reviewers. Information for gate decisions should be collected continuously throughout the bid process. The table below reflects the nominal detail expected across the lifecycle. As you can see, at early stages, few pieces of content have been produced. As the process continues, content is added and evolves from concept to its final, detailed form. 1.1.4. Determine bid and proposal investment. Pursuing and winning business is not cheap. Gate decisions often focus on “is it worth it?”. Cost should always be determined based on what it will cost to win, not what it will cost to bid. Cost should include labour, other direct costs (consultants), travel, and incidentals required to develop and submit a winning bid. 1.1.5. Establish company-appropriate decision criteria. Most organizations develop first-order decision criteria to enable the rapid elimination of opportunities that do not contribute significantly to the organization’s annual and strategic business objectives. 1.1.6. Determine probability of win and probability of go. Probability of win and probability of go (The likelihood that a program will be funded and proceed) are broad-based calculations of an organization’s likelihood of winning an opportunity. They are generally expressed as a percentage, or in some cases, using adjectives such as high, medium, or low. Probability of win has a broad set of parameters used to develop a calculation based on customer perception of the bidding organization. Probability of go represents the likelihood the customer will actually proceed with a funded program upon making an award decision. Industry-standard calculators can help with these analyses and are available from multiple sources. They may differ slightly in structure and parameters, but all have the same intent: Provide a first-order understanding of opportunity difficulty and value when it comes to winning. 1.1.7. Understand who is responsible for gate decisions. The leadership and presentation role changes at gate decisions as the opportunity progresses. 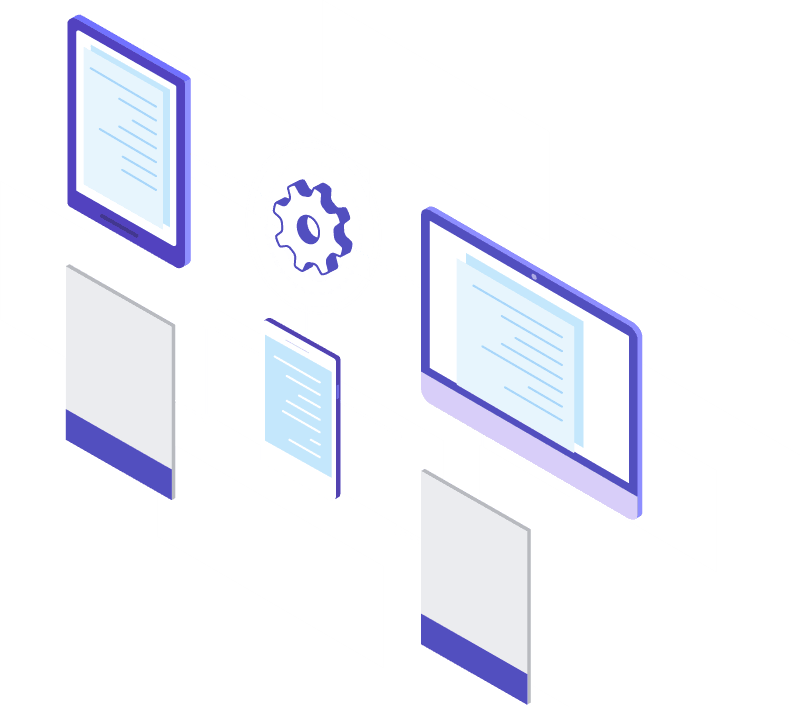 The opportunity team ultimately maintains responsibility, but at opportunity qualification, that will only be the business developer, marketer, or sales person assigned to an account of a functional area. For the pursuit, the assigned Opportunity Manager assumes the lead and generally maintains it through the final review. 1.1.8. Follow up on action items related to gate decisions. Successful gate decisions depend on recording and following up on action items that fall out of gate-decision reviews. This affects opportunities receiving a “proceed” decision at the gate. Usually, “proceed” comes with a series of critical actions that the review team or board and principal decision-maker believe must be completed satisfactorily before the next review. These actions must be clearly defined, assigned, scheduled for completion, and resourced. A simple action item tracking matrix can be used to track objectives. At the next review, reviews should begin by reviewing open action items. Figure 8.1 provides an overview of gate decisions and the end-to-end BD process. Figure 8.1. Gate Decisions and the BD Lifecycle. Following a structured gate-decision process improves BD success. All opportunity information is known at the beginning of the cycle. Strategy should remain static throughout decisions. You can’t win a low probability of win deal if you start early. You can’t lose a high probability of win deal if you start late. Probability of go has no value in the decision to pursue or not. Resourcing is unimportant in probability of win calculations. Gates can be treated as reviews rather than decision points. Gate-decision quality is not indicative of probability of win. Price to win can come late in the gate process.